On Tuesday night I was lucky enough to be one of a handful of people to attend a question and answer session with Kelly Hoppen at the Victoria and Albert Museum in London. 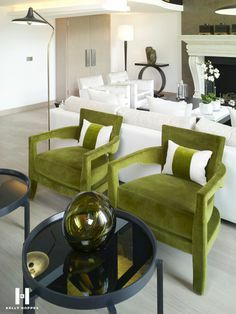 Kelly Hoppen is a massive inspiration of mine and has been for a many years. She too realised her love of interior design at a young age but I didn’t realise my desire to redecorate the family home on a daily basis was a passion I could turn in to a career. In complete contrast, Kelly didn’t hesitate in taking advantage of her passion which explains why she has been so incredibly successful and built a brand that is recognised worldwide. 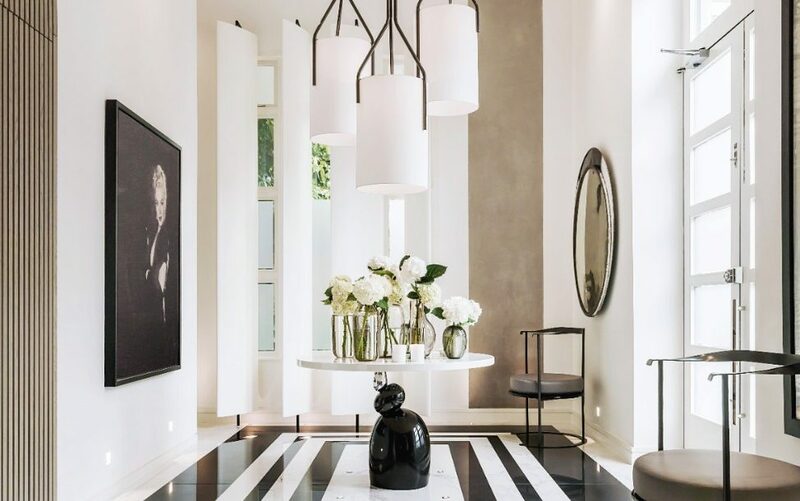 I would never compare my interior design abilities to those of Kelly, but I can relate to her passion, the way the design of a space grows instantly in her mind, how she carries thousands of ideas around in her mind and how she takes inspiration from details she comes across in every day life. I love to waste an hour or two browsing furniture showrooms and department stores looking at paint samples and bits and bobs, but like Kelly, this isn’t where my ideas come from. Kelly mentioned noticing a wider range of things such as someones brooch, the stitching on a jacket or the line of a building. These details are stored in her memory ready to pop up when needed to add that extra touch of Kelly magic. We all know the signature of a Kelly Hoppen space is her use of taupe and she often comes under fire for not using enough colour. On Tuesday night she explained how she does like to use colour but in a way that it can be toned down, increased or removed completely, depending on the season or her clients changing tastes, through the use of accessories and accents. This is something I do in my own home (in winter months black and metallics create a warm and cosy feel, in lighter months the subtle greys and blush shades creep back in) and something I would recommend to most clients. I imagine Kelly’s design process to be incredibly detailed down to the last second and millimetre, with timelines and highly complicated Gantt charts for each aspect of the design and build. Those things are prepared by her team and are available for clients if requested but I was thrilled to learn that Kelly herself prefers to work from her own notepad and scribbles down details of times and dates and places and people…just like me! I refer to it as unorganised organisation! The latest project to launch is Kelly’s collaboration with Boots Opticians. As someone who is as blind as a bat I would be lost without my contact lenses but I’m so pleased Kelly has designed such beautifully shaped frames with striking and fashionable side details. When asked what else Kelly would like to get her designer mitts on she told us she would love to design a range of luggage as she travels so much and more excitingly car interiors that are designed more with the ladies in mind. I have to admit to my love of Victoria Beckham too who has already been involved in the design of the Range Rover Evoque but something tells me Kelly would take that two steps further. With a spare pair of tights in the first aid kit, beautiful stitching and places for emergency lip gloss combined with the Kelly Hoppen stamp of perfection…thats a car my name will be on the waiting list for! I’ve barely scratched the surface of Kelly’s career, I could literally write all night about everything from wallpaper to taps and candles to robes. Her passion, drive, attention to detail and pure talent make her a true inspiration. Kelly’s career may have already spanned 40 years but I’m confident there is so much more to come, more products, more beautiful rooms created and more books to add to my collection. I love Kelly! I wish I could go to the event.